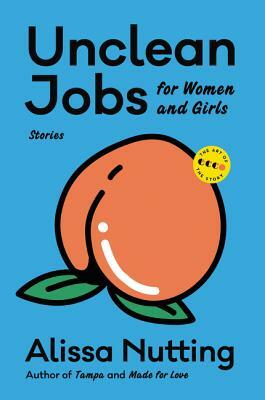 Unclean Jobs for Women and Girls is a fantastic collection of short stories that range from sweet to weird to fascinating, sometimes all in the same story! Alissa Nutting captures the unique elements that make us human, and she highlights them for a wildly entertaining collection. This book is for any woman – no, actually, for all of us who have ever found ourselves in a ridiculous situation or at an unclean job! Throughout these breathtakingly creative seventeen stories spread across time, space, and differing planes of reality, we encounter a host of women and girls in a wide range of unusual jobs. A space cargo deliverywoman enlists the help of her cybersex partner to release her mother from cryogenic prison. Desperate for affection and a more lavish lifestyle, a young woman falls under the corrosive spell of the fashion model for whom she’s given up everything to assist. A woman submits to a procedure that will turn her body into a futuristic ant farm, only to discover the sinister plans of her doctor. Though the settings these women find themselves in are as shocking and unique as they come, the emotional battles they face are searing and real. Some are trying to fight their way out of the cycle of abuse, while others must cope with the anguish brought on by infertility or the aftershocks of an abortion. Still others confront and embrace their most depraved desires, carving out power for themselves in worlds that relentlessly ask for conformity. Wickedly funny yet ringing with deep truths about gender, authority and the ways we inhabit and restrict the female body, Unclean Jobs for Women and Girls is a brilliant commentary on the kaleidoscope of human behavior and a remarkably nuanced satire for our times. Alissa Nutting is an assistant professor of English at Grinnell College. She is the author of the story collection Unclean Jobs for Women and Girls, as well as the novel Tampa.